Note: You can view this also in CompSoc.lk web site. You may have heard the word “CMS” several times. Do you wonder what a CMS is …? Well it Content Management System is presented in the abbreviation CMS. Whatever it is, what does it do really? Also have you ever think of how large sites manage their content? News sites like adaderana.lk, dailymirror.lk needs to be updated so often. If you are a person who only knows about web designing with HTML you may have wondered how these people manage their sites. Because editing html files and updating them in the server is not a much easy task. You need to edit the page locally and then update the remote server. Managing huge amount of content is not an easy task in this way. Just imagine about a business. Most probably the business owner or managing director is a non-tech guy. Even though they have a web site it is difficult to update the site as needed. Think the manager needs to update the site with an immediate notice. What does he have to do? He contacts the web designing company and says his requirement. Then he may email the required content and after some time the site will be updated by the designing company. This takes much time and even cost much too. What if this non-tech guy have the chance of updating the site quickly? Also we may add several types of content to the web site. We may add photos, audio, video and so on. Also we may need to provide a facility of user registraion, logging in and displaying user specific content. How about coding from the scratch ? For all these problems the solution is Content Management Systems which we call CMSs in short. So what is a CMS? What do they do ? So now you know what a CMS is. There are several types of CMSs. Here we are going to discuss about the web content management systems. For others as well just look for this wikipedia article. So what are the available CMSs ? There are so many CMSs for different tasks. Joomla, Drupal, WordPress, DotNetNuke, phpNuke are some of the popular CMSs. You can see a huge list here. We wil start discussing about Web Designing with Joomla in the next articles. These CMSs are web applications. Written in a server programming language like php. So we’ll install them in the server and they will work like a software where we can continue developing the site. No no .. no need to fear. It’s not in the type u think of. Not much difficult. We’ll continue learning about Joomla in the next articles. So you would get a good knowledge and will be able to create a working web 2.0 site in minutes. 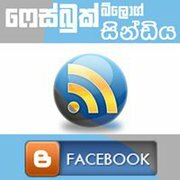 This entry was posted by Sanjaya on March 20, 2011 at 6:14 pm, and is filed under English, Tech, තාක්ෂණික. Follow any responses to this post through RSS 2.0.You can leave a response or trackback from your own site. Appreciation to my father who shared with me concerning this website, this website is truly remarkable. Joomla: Want more facilities to edit articles?